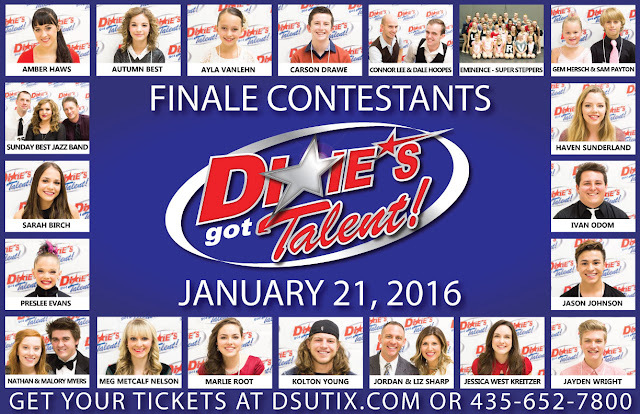 In just two weeks Dixie's Got Talent finale contestants will perform for your votes!! This sounds like such a fun night!! They've been doing the show for at least the past two years but probably even longer. Get your tickets quickly because they historically sell out! My friend, Megan Nelson is one of the finalists! Cheer extra loud for her :) She's a crazy good tapper! I went to this last year - it was a lot of fun!